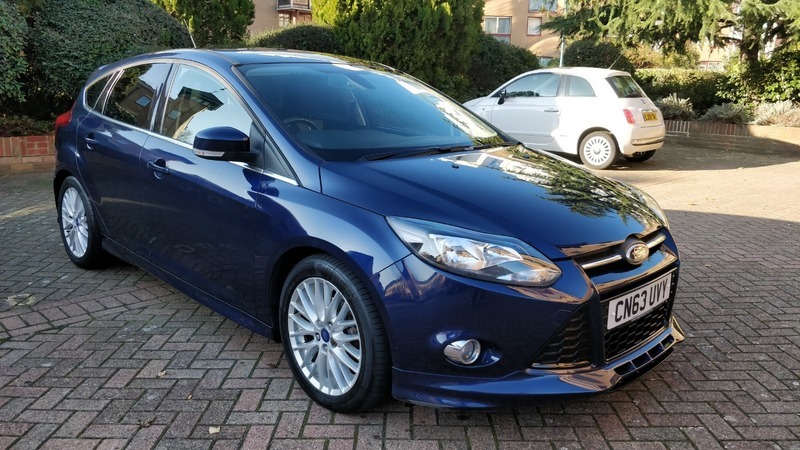 Lovely ink blue ford focus S, Low miles, Excellent condition in and out, 6 months warranty, Next MOT due 28/11/2019, Last serviced at 21,822 miles, Full service history. Excellent bodywork, Interior - Excellent Condition, Tyre condition Excellent, Air Conditioning - Manual Control, Voice Control System, 17in 10x2 - Spoke Alloys Wheels (215/50 Tyres) with Locking Wheel Nuts, Bluetooth, CD/Radio, 3,5 Dot Matrix Display, Extended Integrated Control Panel, USB/AUX,, Driver Information System, Electrically - Operated Front Windows with One - Touch Lowering on Drivers Side, Quickclear Heated Windshield, Thatcham Category 1 Perimeter and Volume - Sensing Alarm. 5 seats, Blue. Full HPI clear - report available, All manual books including service book included, Nationwide warranty, finance and delivery available, Part exchange welcome, Located at Whitechapel, London E1 5EE, Very close to tube station, Viewings by appointment. Comes with 3 Months Warranty and 12 Months AA Breakdown Cover.